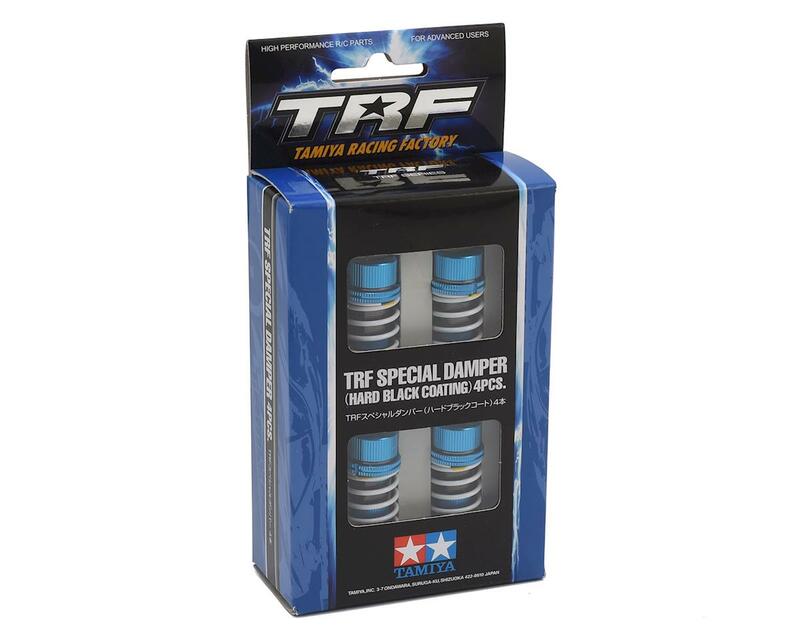 The Tamiya TRF Special Damper Set includes black-colored fluorine coated shock bodies for even less friction than previous Tamiya dampers. Efficiency is further increased by utilizing titanium-coated shock shafts for smoother travel, while damper cap, O-ring cap, and spring retainer have been anodized Tamiya blue to provide vivid chassis highlights. 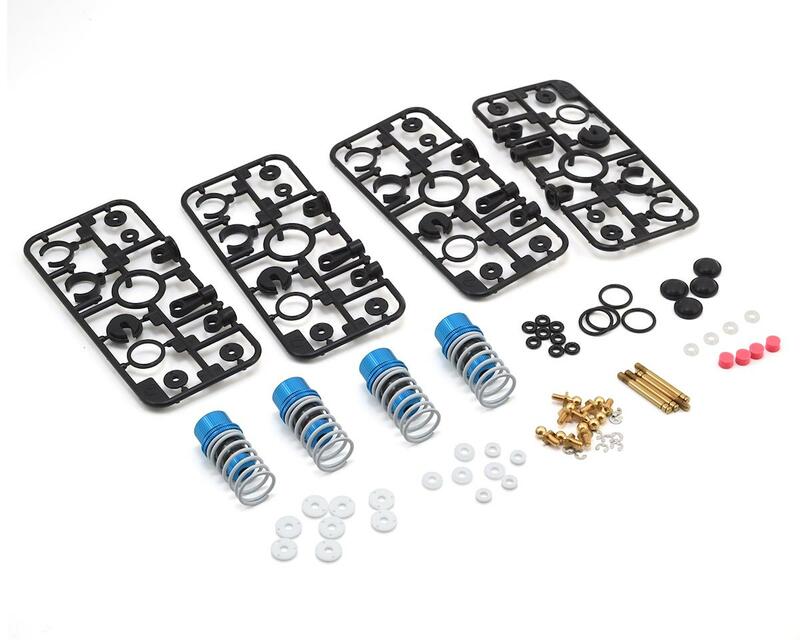 This shock set includes white-colored medium rate springs, and all the parts needed to build four complete shocks. Does not include shock oil. NOTE: Compatible with most Tamiya on-road touring car chassis (TT-01, TA05, TB-02, TB-Evo.V, TRF415, etc. ).